That’s my cue to turn it over to the Divine. Dearest High Glory of All, I give you this doubt and fear. I don’t need to try to muscle out of it. 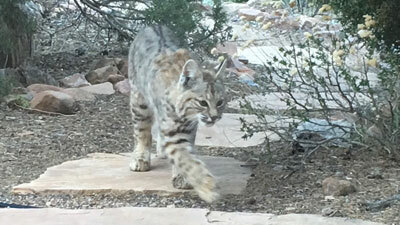 Perhaps this situation calls for my inner bobcat? living my Full Glory of You. As always, please post your thoughts and comments below . . .
Bill, leave space for Grace, indeed! What the heck, maybe even allow Grace to lead?!? Big thanks for all you do…how easy it is to forget to do this, I say to myself & clients “we must have Hope and Faith, because we don’t know it all”. Leave Space for Grace eh!